Dressing up Your Wedding Invitations - Belly Bands! 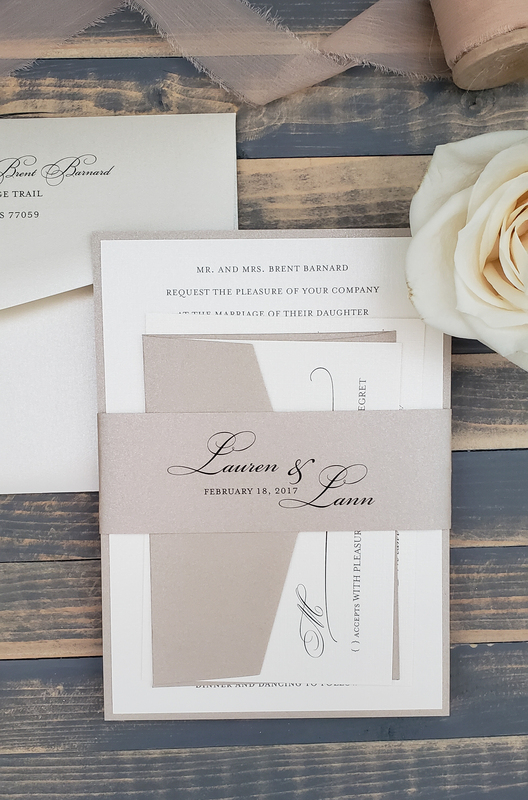 Today we are talking about different ways you can keep your invitations neat and organized. Everyone loves a good accessory right? 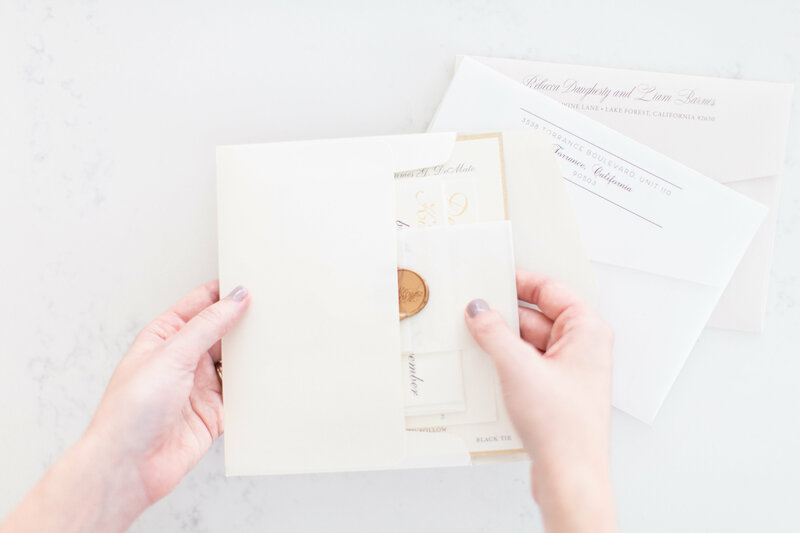 The most popular way to keep your invitations tidy is with a pocket, but pockets aren't everyone's style and they aren't always in the budget. So let's look at some ideas shall we? Traditional paper belly bands are made from a thinner paper usually referred to as text weight - it's what you would get if you were printing on really nice resume paper. It's also the same paper they make envelopes out of. Now, what's the point of a belly band? Well, people often complain to me that as you pull your wedding invitation out of the envelope, it all falls to pieces. A belly band wraps everything together and keep it snug so you don't lose anything as you lift it out of the envelope. It's a fantastic way to add a pop of color to your invitations - some color to stand out against your invitation. What do you put on belly bands? There are a lot of different options here. Most commonly I use either a custom monogram, couples names and wedding date or something like a crest or wreath design. You can also use a specialty paper like glitter and just let the glitter speak for itself. Another option I love is to use your guests names. Inner envelopes aren't as popular as they used to be, but there are elements of them that are great for formal weddings. On a very traditional invitation, you'll write the guests names on both envelopes. The outer envelope might say "Mr. and Mrs. Andrew Mays"
The inner envelope tells you specifically who is invited. Now back, up we're talking about belly bands right? Right. 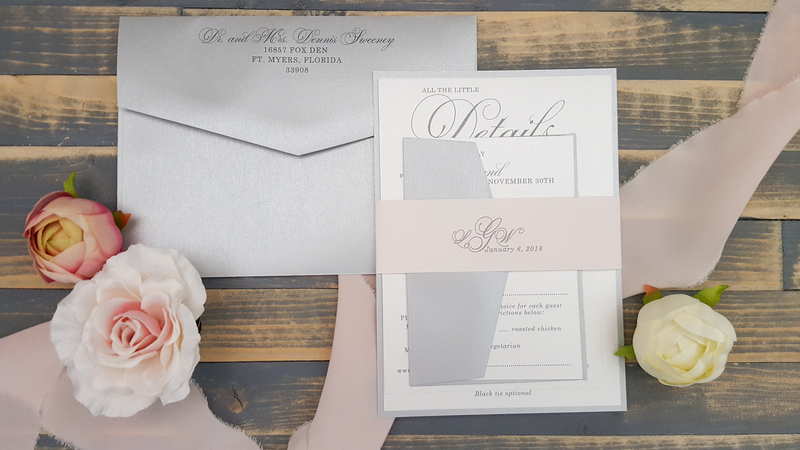 Inner envelopes aren't used as much in modern invitation design, but you can still keep the formality of the invitation by adding your guests names to the belly band. It makes for a great, personalized invitation. You can also use a sticker that closes the pocket or even one that wraps around the bottom as an accent. Stickers come in a variety of shapes and colors to add a unique design element. Another really popular option is using a wax seal! You can use it with a plain vellum band or full invitation wrap. They can be customized with your monogram or crest for a unique, stand out design. If your goal is to be formal and keep your guests names on the invitation but you're not loving the idea of a belly band, we can hire a calligrapher to help out. I don't offer calligraphy, but I have a lot of talented friends. I can show you their work and you can choose the style that you love the most. 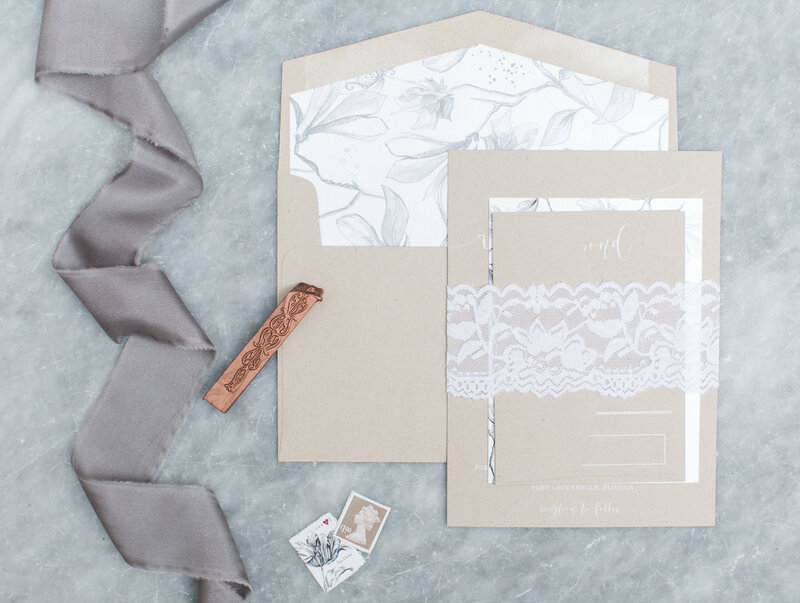 If you really love the inner envelope itself, let's do a more modern take on it with a vellum envelope! If you want to keep everything together you can also use - lace, twine or ribbon. There are a lot of options to keep you organized and we'll find one that works best for you! Customized invitations are what I love to do most! How are you going to customize your wedding invitations? You can start your custom wedding invitations with just a click of the button below. Tell me more about what you're dreaming up and I'll get the ideas pulled together into an amazing invitation package for you.